Launch control is generally used on turbocharged vehicles to allow the turbo to boost whilst the vehicle is stationary. A switch is connected to the clutch pedal (if the vehicle does not already have one) and when the clutch is depressed the Unichip lowers the original rev limiter. The engine is then kept at full throttle with the lowered rev limit enabling the turbo to start boosting. Once the clutch is released the rev limiter is set back to standard and the vehicle pulls away with full boost (or however much boost you want). 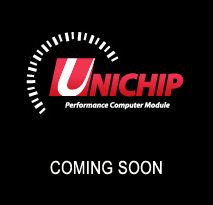 On most vehicles the Unichip can do launch control without any added devices but on some we add extra driver modules to control the ignition coils.